Home > Air Purifiers > IQAir Air Purifiers > IQAir HealthPro Air Purifier - Same Great HyperHEPA filtration without the V5-Cell filter for Gas and Odor. Add the V-5 at anytime later. IQAir HealthPro Air Purifier - Same Great HyperHEPA filtration without the V5-Cell filter for Gas and Odor. Add the V-5 at anytime later. The New Edition IQAir HealthPro air purifiers are now 32% quieter, deliver 25% more clean air and have 38% longer filter life! Available Now! 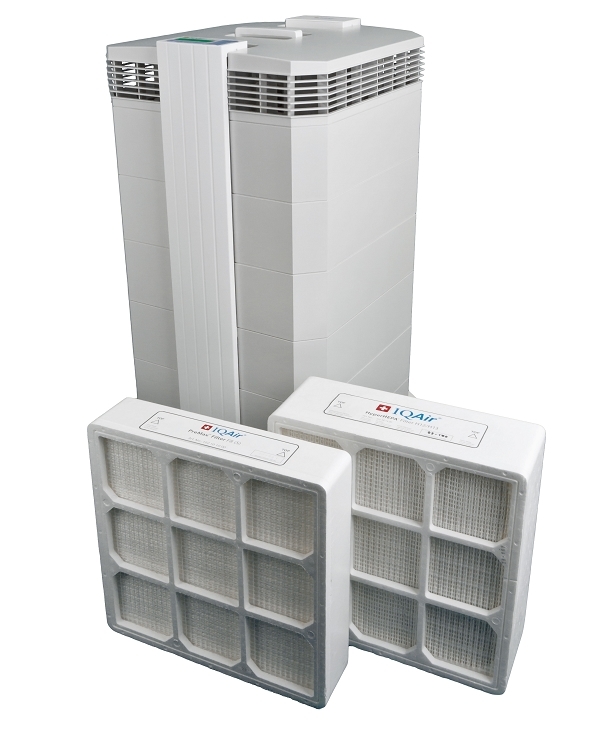 IQAir Air Purifiers are the world`s most advanced air cleaners for homes and offices. 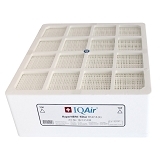 In fact, IQAir purifier systems are the only residential air cleaners to use the same superior HyperHEPA technology used in today`s modern million-dollar cleanrooms and hospitals. 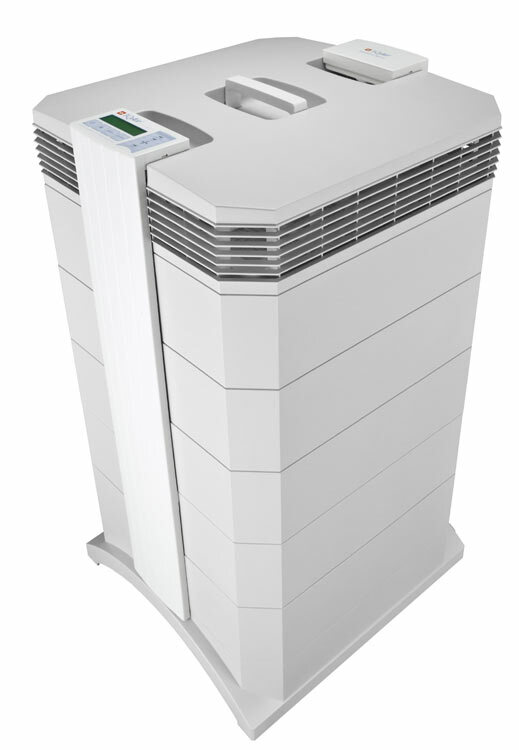 As a result, the IQ Air Health Pro air cleaners remove more pollution particles, such as allergens, pollen, pet dander, mold spores, ultra fine particles and dust from the air than any conventional HEPA air cleaners. 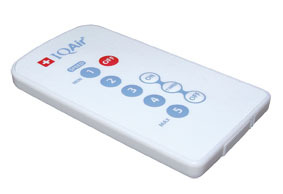 Easily upgraded to the IQAir Health Pro PLUS. Just add the V5-Cell Gas and Odor filter, the frame is built-in, then change the Model in the control panel. Easy, Peasy. NEW: Now comes with a full 10 Year Warranty. ATTENTION: As an Authorized IQAir Dealer, our dealer agreement will NOT allow us to sell IQAir Purifier units to be exported overseas. If you are ordering an IQAir Air Purifier to be shipped overseas, we're sorry, but we will have to cancel your order. The IQAir HealthPro is recommended for individuals that want top of the line filtration of airborne particles, dust and allergens. The IQ Air HealthPro Air Purifier may be upgraded at any time to an IQAir HealthPro PLUS to help eliminate gaseous pollutants and odors. The IQAir HealthPro PLUS offers the revolutionary V5-Cell gas filtration technology. 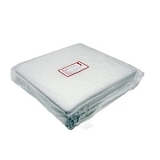 The V5-Cell filter offers excellent reduction of household and cooking odors and low concentrations of volatile organic compounds (VOCs) from building materials or cleaning agents. Upgrading the HealthPro® to a HealthPro® Plus, the HealthPro® system has a spare compartment (filter frame) that can at any time be upgraded by simply adding the V5-Cell™ (wide-spectrum gas and odor filter) to help eliminate gaseous chemicals and odors. The HealthPro system can be upgraded directly from the control panel. The new software allows for easy conversion by simply changing the current model setting from HealthPro to HealthPro Plus. Scroll down through the "menu" settings to see the “Current Model” setting in your control panel menus and simply change from the HealthPro version to the HealthPro PLUS version. Please refer to the HealthPro User Manual instructions, chapter 4.4.1 "Current Model" Setting. 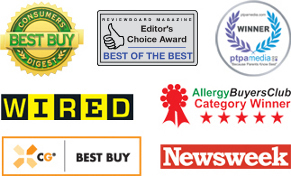 Germany`s consumer foundation rated the IQAir HealthPro Plus the most effective air cleaner for allergy sufferers and was recently named a Consumers Digest "Best Buy". For MCS sufferers and applications with tobacco smoke or elevated levels of gaseous pollutants and odors, the IQAir GC Series is recommended. Air Delivery (with new filters installed) per Speed. Power Requirements 120 VAC 50-60 Hz The entire electrical system is UL certified. Dimensions H 28" W 15" D 16"
Filter Configuration 1 Pre-Filter (PreMax - F8); 1 Cleanroom grade HEPA filter (HyperHEPA H12/13); No Gas and Odor Filter (V5-Cell) supplied, but is easily upgraded to add the V-5 at any time. (This makes the HealthPro into a HealthPro PLUS). I've had this air cleaner for three years now, running constantly, and am just now replacing the two filters. As a prior review mentioned, the refills are an investment, but the machine has allowed me to set up an art studio in my home. Oil paint fumes are seriously toxic and when the machine is running there is no odor at all. Absolutely silent on the lower settings, barely audible at full fan speed. Highly recommend.